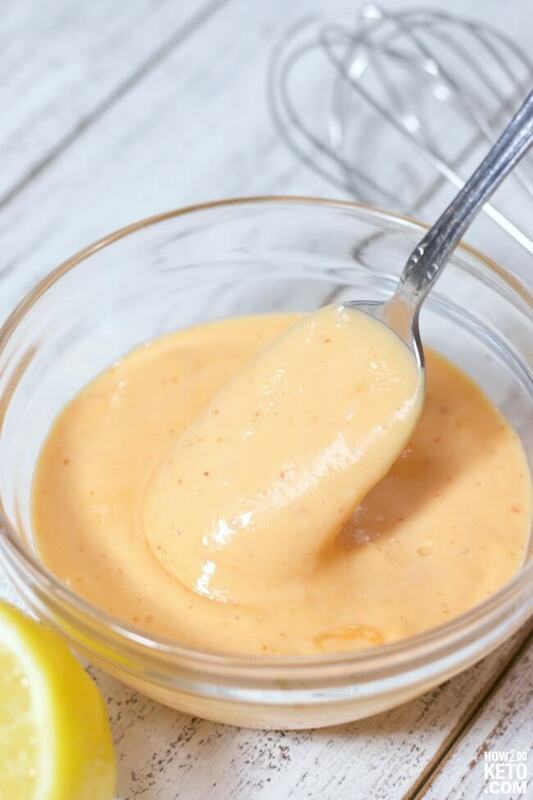 This Low Carb Spicy Mayo is the perfect keto-friendly sauce to add a sweet and spicy kick to your favorite dishes! 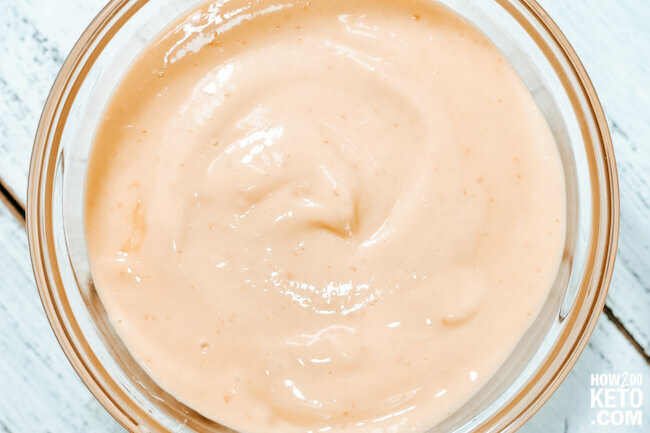 For your convenience in re-creating our Keto Spicy Mayo recipe at home, we’ve included shop-able ad links to some of the products and supplies used. Read our disclosure policy here. During college, I worked at a sushi restaurant that was famous for their spicy mayo. I was addicted to the stuff and put it on everything. I must not be the only one who has a love affair with spicy mayo, because over the past decade or so, spicy mayo has become super popular! It’s a staple on sushi menus and you can even find it pre-made at the grocery store. Problem is, a lot of those pre-made spicy mayo bottles contain additives and even sugar. That’s why we make our own low carb spicy mayo at home – actually, our spicy mayo has NO carbs! You only need 3 simple ingredients to make it! 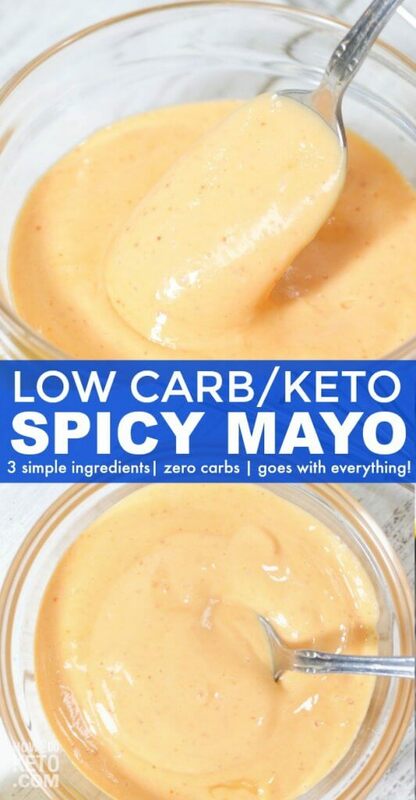 *You can also make your own Keto mayonnaise with this recipe! 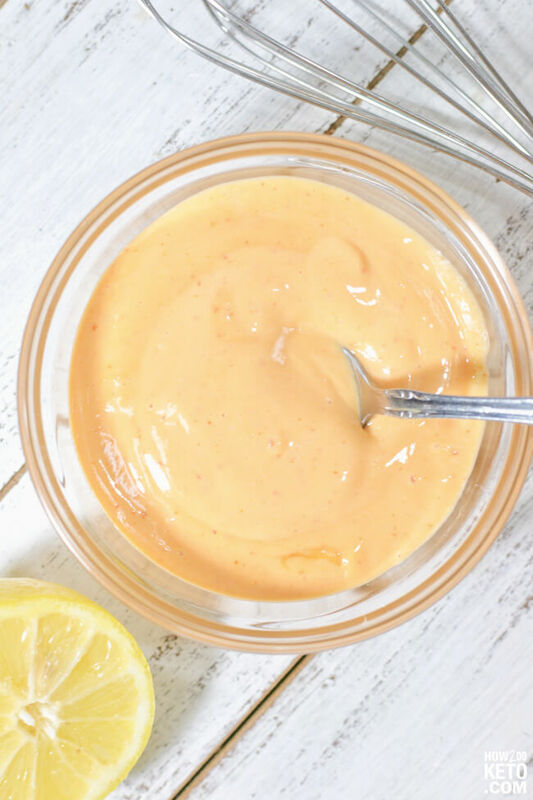 The above is a quick glance at the ingredients and tools needed to make Low Carb Spicy Mayo. Full ingredient amounts are available in the printable recipe at the bottom of the post. Traditional spicy mayo is made with Japanese Kewpie mayonnaise, which has no added sugar and zero carbs. However, it does contain MSG, which is why we suggest Avocado Oil Mayonnaise for this recipe. Some brands of sriracha chili sauces contain sugar – it’s usually a small amount, but depending on how strict you’re going that may not be ok for you. Always check the label – there ARE some that are sugar free. Feel free to add a squeeze of lemon to your spicy mayo for a bit of extra zip! Related: Try our low carb spicy mayo with this AMAZING Keto Spicy Shrimp Stacks recipe! 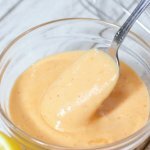 This Low Carb Spicy Mayo is the perfect keto-friendly sauce to add a sweet and spicy kick to your favorite dishes! ZERO carbs and SO much flavor! Whisk together ingredients until well incorporated. Add more Sriracha and/or erythritol to taste, if needed.